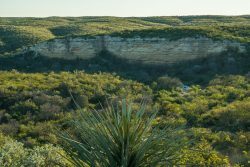 Prairie Canyon Ranch is located on both sides of US Highway 90 just 8 miles east of Dryden, Texas between Del Rio and Alpine. 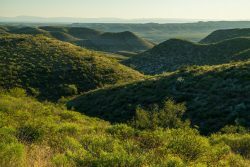 This is true western hill country and rugged canyon country; an area filled with history and amazing natural habitat and wildlife. 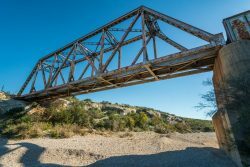 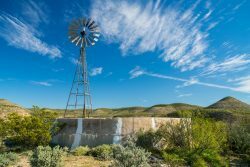 This ranch has been in the same family since the 1960s and has been a significant source of recreation and adventure for several generations of owners. 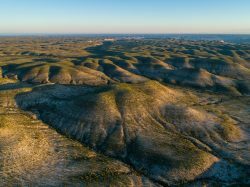 The main drainage across the northern half of the ranch is Prairie Canyon, named for the rich natural grasslands that once dominated this region. 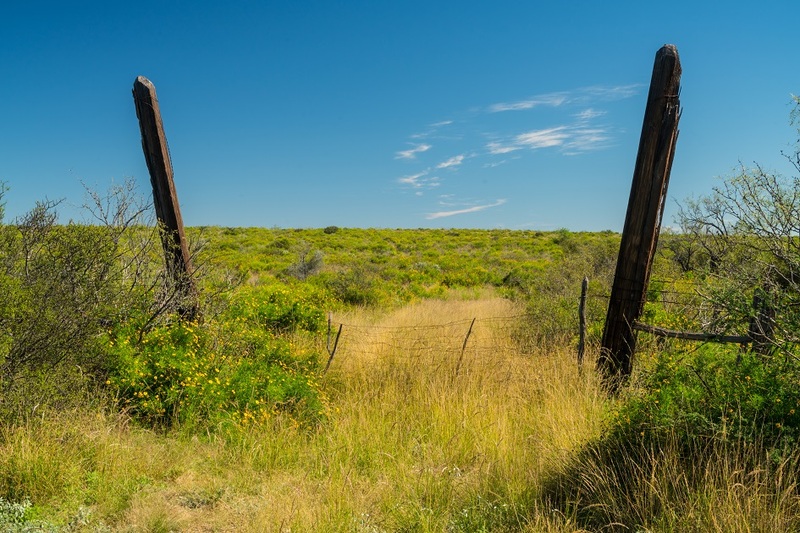 In fact, lesser prairie chickens were native to this ranch and the last one was seen in the 1980s, evidence of a rich mix of grassland and brush. 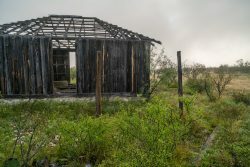 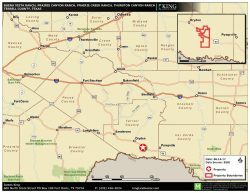 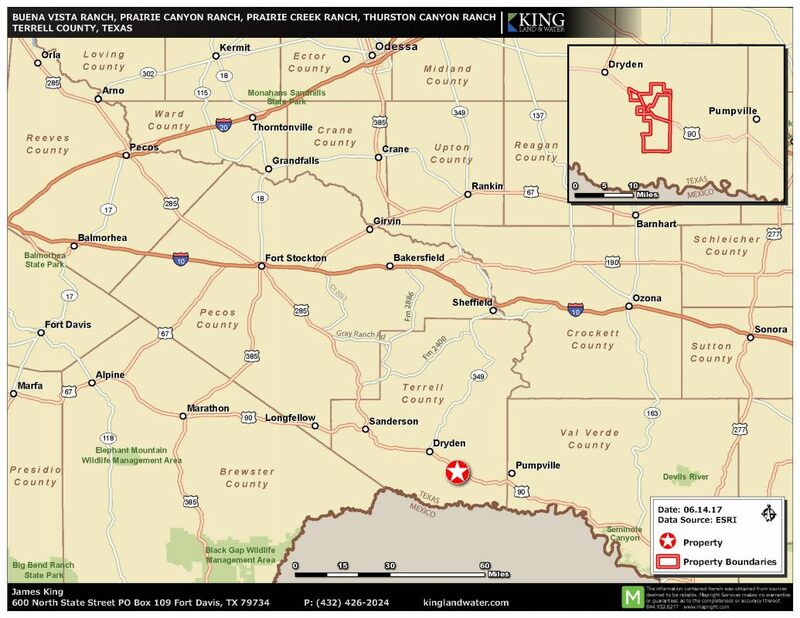 This is land “West of the Pecos”, a region full of early Texas history, including Judge Roy Bean and his iron hand of the law, who ruled from nearby Langtry. 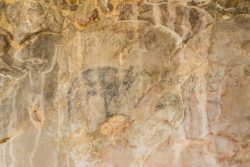 Prehistoric people lived in limestone shelters on the ranch and a black bear pictograph can be clearly seen there today. 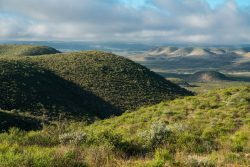 The area is a recreation mecca for both whitetail and mule deer hunting or just prowling the canyons in search of adventure. 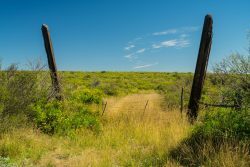 This is a working ranch leased to a neighboring heritage landowner who keeps up the roads and water infrastructure over the entire property. 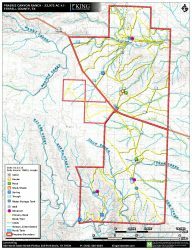 The 11,000- acre north half of the ranch where the old hunting camp is located also makes a great location for a future headquarters, with electricity and water already in place. Thurston Canyon cuts across the very northern end where the Union Pacific Railroad meanders. 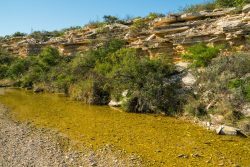 The spring in Prairie Canyon is located near the confluence with Thurston Canyon. 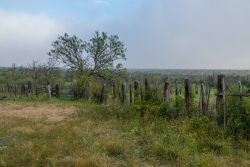 There are 3 pastures and 1 trap on this side of the highway. 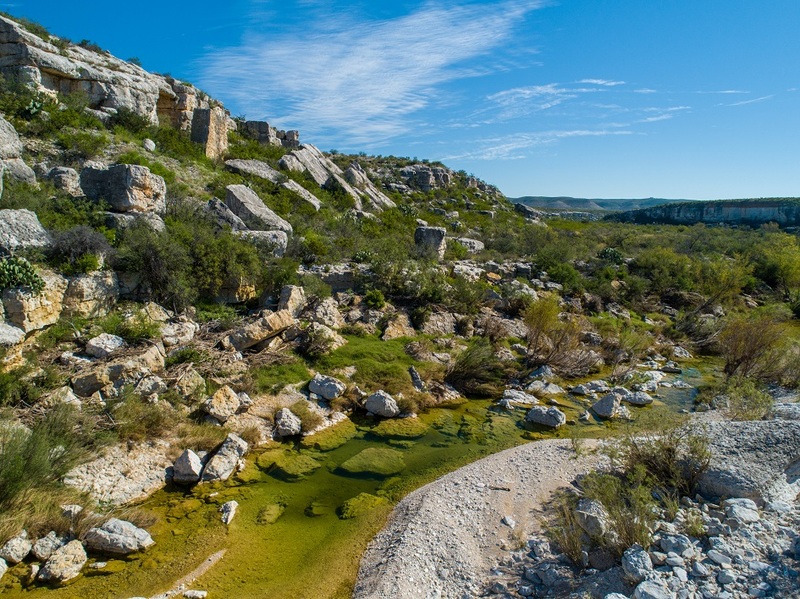 The southern 10,000 acres is perhaps the most scenic, with the Mexican mountains in the background, and tremendous views down into Indian Creek and Cook Creek with rolling hills and limestone cliff canyon banks. There are 2 large pastures and one trap on this south side. 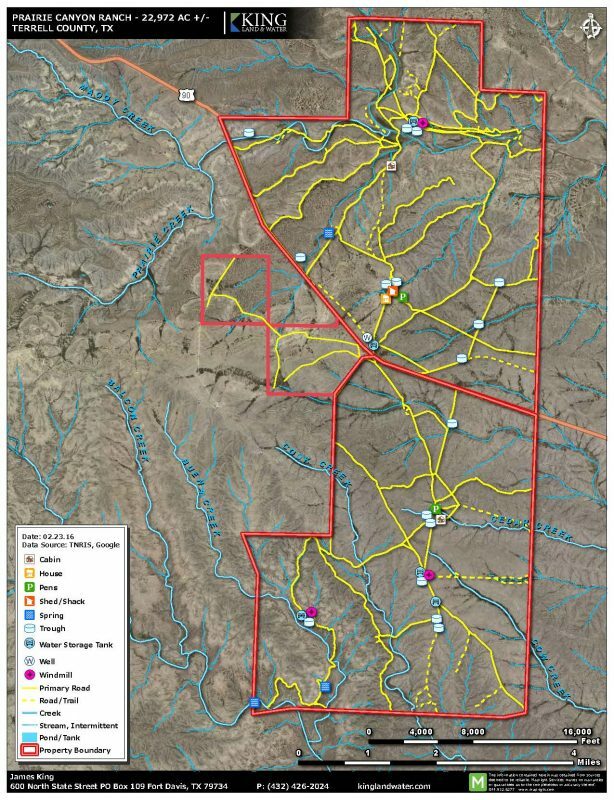 Waters are distributed across both the north and the south in a variety of wells, pipelines, water storage, and water troughs. This is not only plateau country with dissected canyons, but also an extensive landscape of rolling hills, valleys and long canyons, creating very scenic and amazingly beautiful views. 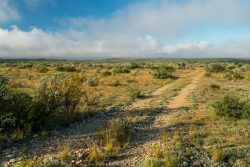 With topography ranging from 1,600 to just over 2,000 feet there are many potential building sites with distant vistas of ranch features. 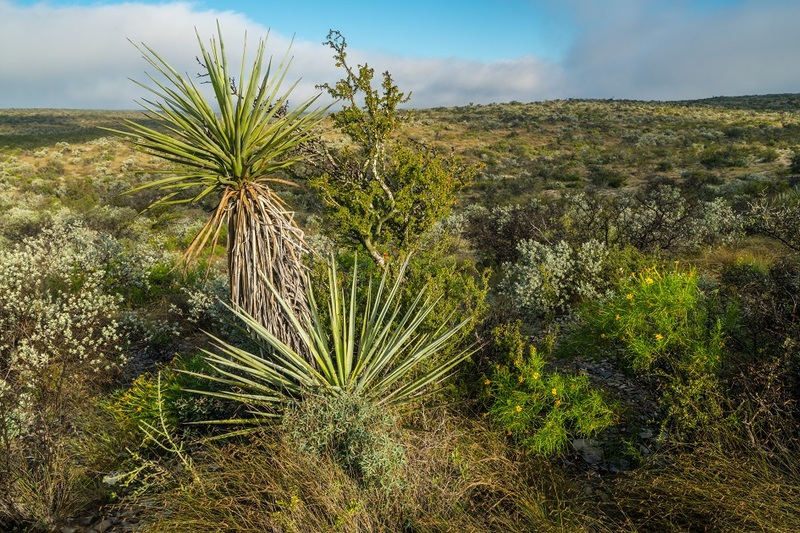 Tamaulipan Brushland, Hill Country and Chihuahuan Desert habitats are all part of Prairie Canyon Ranch. 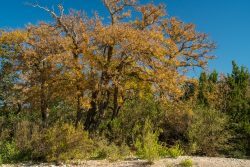 From ocotillo and sotol, to hackberry, persimmon, and mesquite woodlands, to black brush and juniper, the ranch represents a crossroads of diverse habitats. 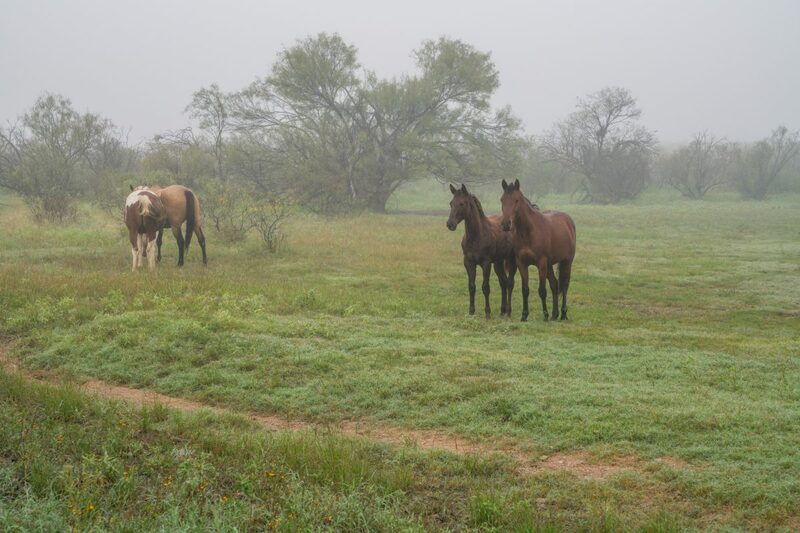 The property’s browse and grasslands are in excellent condition, a result of the ranch’s evolution from a historic sheep and goat operation into today’s recreational uses of hunting, hiking, and enjoyment of scenic beauty. 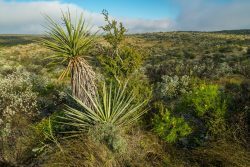 Native grasses, forbs, browse, brush, cacti and trees not only provide excellent habitat for game species such as deer, turkey, quail, Barbados Sheep, and dove, but also for non-game species such as Texas horned lizard, neotropical songbirds, golden eagles, fox, ringtail cat, mountain lion, and many other mammals and birds. 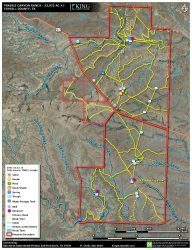 Recent use and management has been focused on improving and growing both mule deer and whitetail deer populations, which are tremendous. The population is about 50/50 for these two deer types and with the water distribution and excellent cover, this is some of the best Blue Quail hunting in Texas. 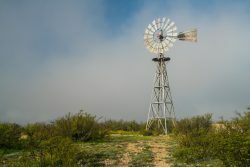 The groundwater under Prairie Canyon Ranch is high quality and is accessed by one large electric well and a windmill on the north and two windmills on the south. 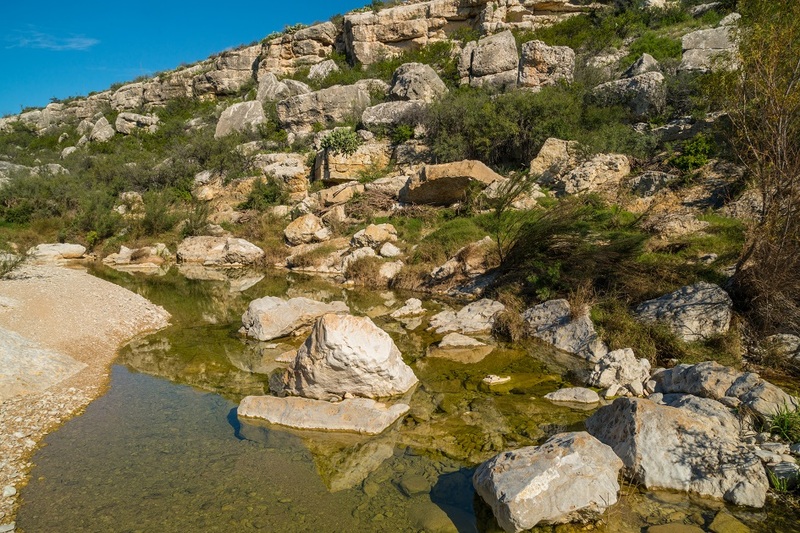 There are also two full-time springs providing excellent natural waters for the local wildlife. 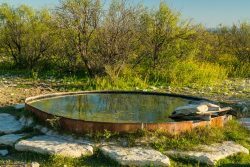 With the extensive water tanks and water pipeline and trough system, water is available across the ranch.